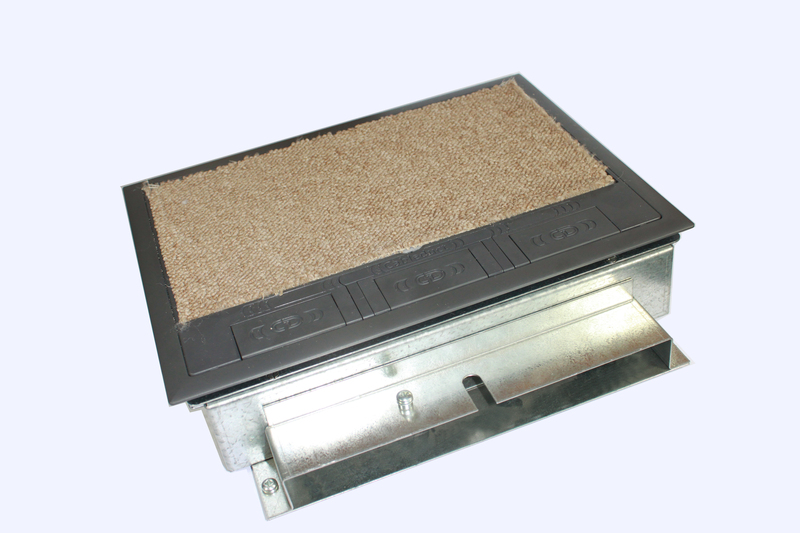 A service box can be fitted in any screed floor with a minimum of at least 55mm screed depth. We can make new lids and service boxes to suit your existing trunking. Stocked sizes are shown below. 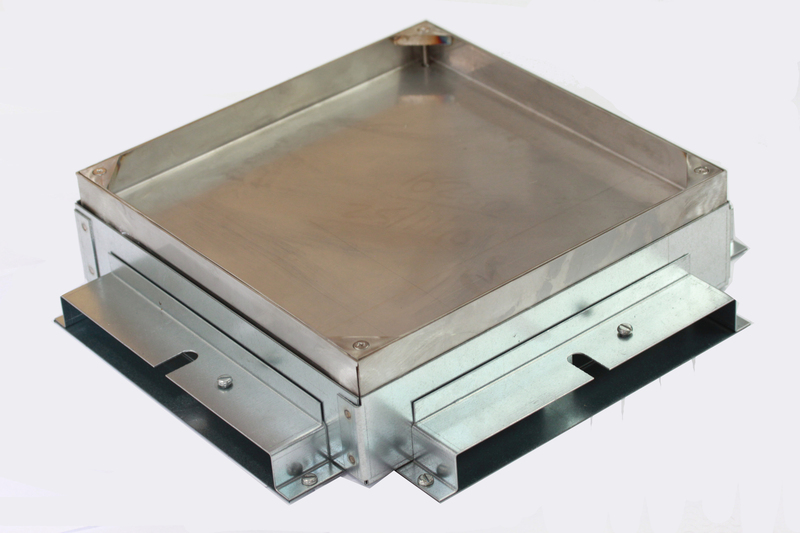 All ranges can be supplied with a recessed lid if required, and also can be adapted to have a stainless steel (or brass) lid and frame, complementing our 700 series and Minima ranges of floor boxes. 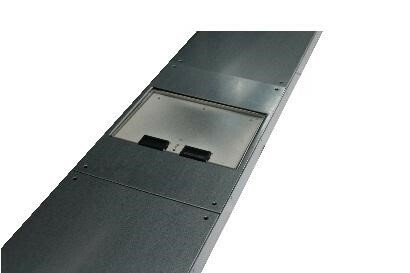 Floor service outlet boxes can be fitted at any point along the trunking run, at any time after screeding when using trunking at least 55mm deep. To order quote Range and Part Reference, for example FF12-130 for a 2m length of FF12 profile. 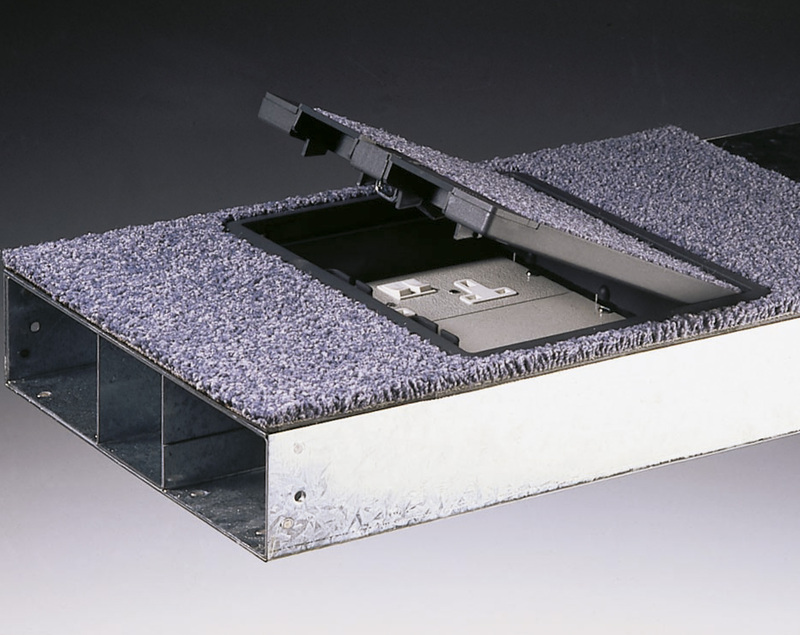 A range of heavy duty floor trunking for use in screed with the lid flush with the finished floor level, giving the flexibility of re-wiring and moving outlet points without disturbing the screed. The body is made from 1.5mm galvanised steel and the load bearing lids are made from 2.5mm galvanised steel. 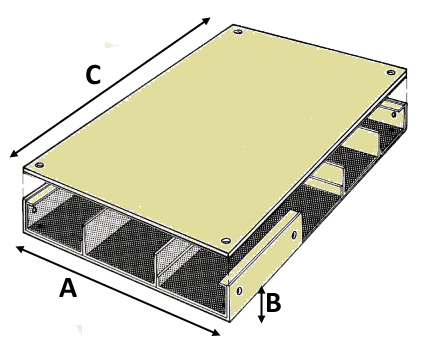 The upper surface is a removable cover, either flat or recessed to take floor covering. For recessed lids a stainless steel option is available. We can supply this trunking in any width, any depth, any number of compartments (note maximum span for load bearing lid is 110mm). We hold a range of sizes in stock, from 150x25mm to 330x65mm. 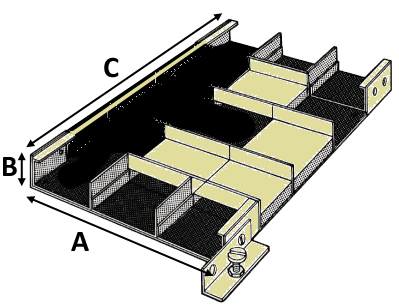 The trunking should be laid on a supporting flat ribbon of screed to avoid the distortion of the trunking lid. The lids should be in position when the screed is poured to prevent the distortion of the side walls. 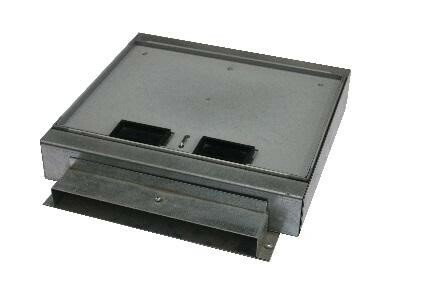 Ref 94 Junction box with Standard galvanised steel lid with 6mm recess. To order quote range and part reference, for example U3-91 for a 2m length of U3 profile. 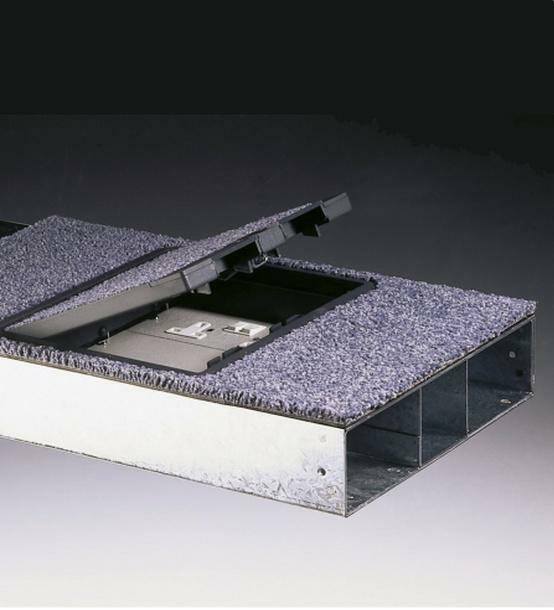 Please quote DEPTH OF SCREED when ordering junction boxes or service boxes as these are made to suit. A range of trunking that is designed to be buried in the floor screed, with services brought out through service outlet boxes and junction boxes. 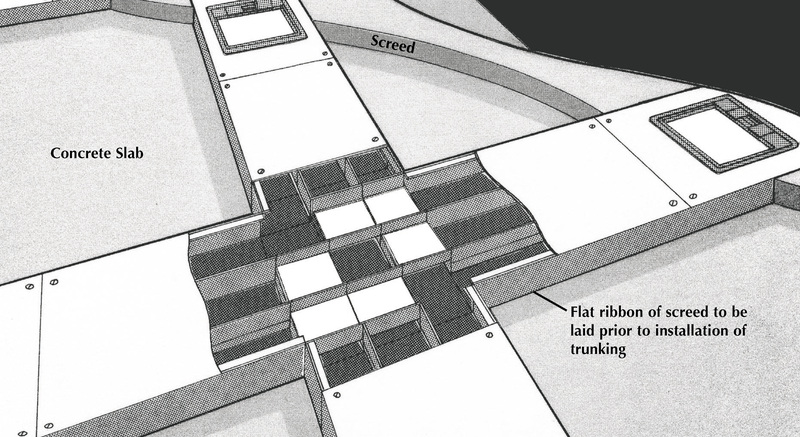 It is designed to be laid and wired prior to screeding. The trunking is made from 1.2mm galvanised steel. 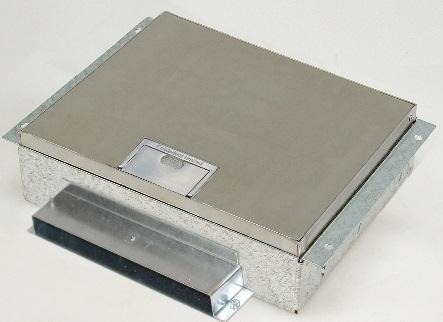 Standard junction boxes are supplied with a height adjustable 6mm recessed lid, but can be supplied in brass or stainless steel finish, with any lid recess, to suit our 700 series and Minima ranges of floor boxes. Please specifiy your screed depth when ordering so that the correct base depth can be supplied. 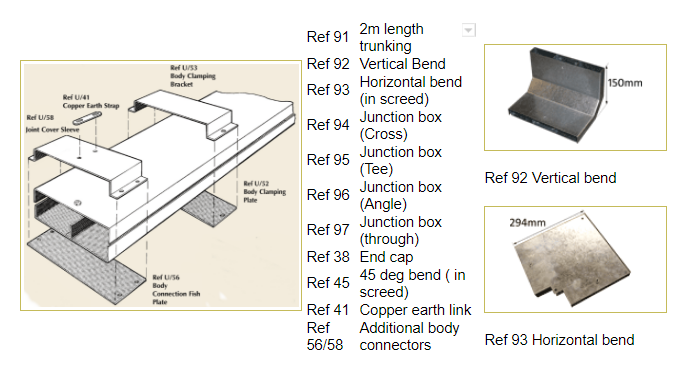 Order your floor boxes and junction boxes to the lowest anticipated screed height. 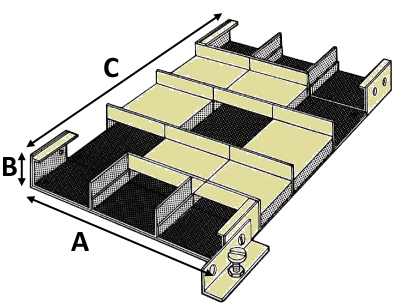 Position the floor boxes and junction boxes to your lowest anticipated screed height and secure to the floor. 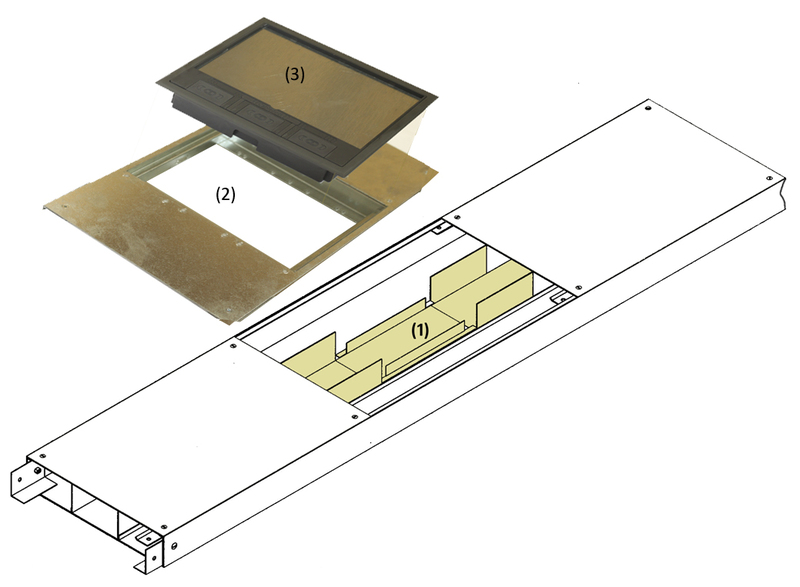 Connect the trunking body to the junctions and floor boxes by inserting through the box connecting sleeve, cutting lengths as required. Cables are placed into the trunking body. Once wiring is complete place the trunking lids on to the bodies and secure using the supplied joint cover sleeves. When screeding protect the floor boxes and junction boxes so that no screed enters the boxes.